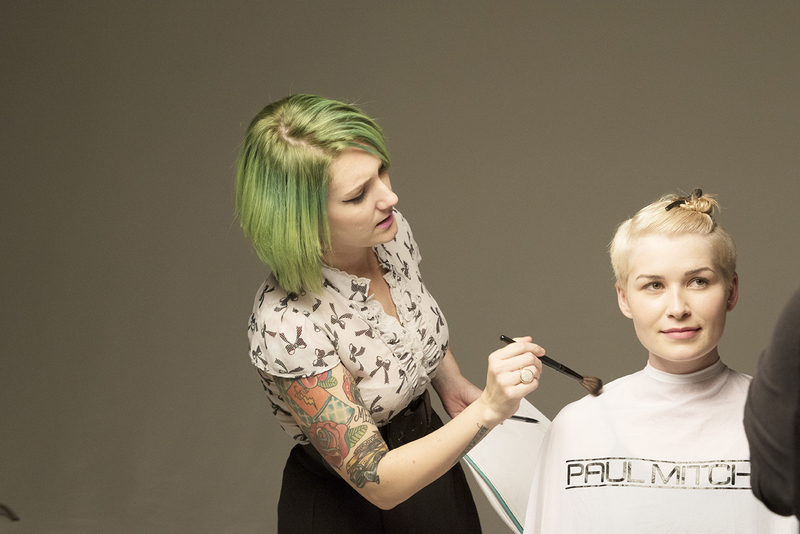 Jamie Anderbery-Stout is Paul Mitchell's Director of Color Education. When she's not educating stylists on Paul Mitchell professional hair color, you might find her working on her collection of old Chevys or sharing dinner with her husband at her fave Mexican food restaurant. I will never forget my first trip to The Gathering. It was a collection of some of the most defining moments in my young adult life that told me, “yes—you are meant to be right here, right now.” I was still in beauty school with a couple hundred hours to go and because of my never-ending desire to overachieve and be involved in everything, I had been asked to come as “volunteer help” with set-up and take down for the event. I couldn’t have been more excited or nervous to be around my biggest mentors—the kind of mentors that didn’t even seem like they really existed, because there’s no way any one person could be that cool, that talented and that bigger than life. What I didn’t realize at the time is that taking that initial leap of faith, swallowing all of those nerves to go, and putting myself out there to be open to everything and anything this event threw my way was the beginning of the rest of my career. Yes, my first trip to The Gathering was as a Future Professional and technically, I didn’t participate as an attendee. But, that first experience is what set me on a track of never missing a single one. No rain or sleet or snow could keep me from soaking up The Gathering and all of its goodness from that moment forward. As a professional both behind the chair and in education, The Gathering has offered me tools that no other experience could ever begin to tap into. One of the reasons I loved this industry so much before I even became a part of it was how flexible it is—how you could be and/or do anything you want when you’re in “our” world. You like sales? Awesome, you could be a salon owner, a sales consultant, a distributor, anything! You love products? Rad… why not try research and development, or product testing, or education?! There are so many branches that stem from that license that you worked so hard to get that can lead you directly to your passion, whether you knew it was there or not. The Gathering covers every aspect of this. As a professional, you bring home knowledge and inspiration about everything from business and service marketing, to trend-starting color techniques and innovative haircutting. Be inspired by those “larger than life” mentors when they blow your mind from the main stage performances all the way to their one-on-one coaching in the hands-on classrooms. Experience Look & Learn classrooms that allow you to connect with like-minded professionals in a setting that allows for every learning type, every question, and every opportunity to grow yourself. John Paul DeJoria and Paul Mitchell himself created a culture that not only celebrates the professional, but a culture that believes in giving back. Can you even imagine being part of an event that empowers you to be a better person, to give back to those who are less fortunate and to share success with others? If anything, you will leave The Gathering feeling like the next best version of yourself. 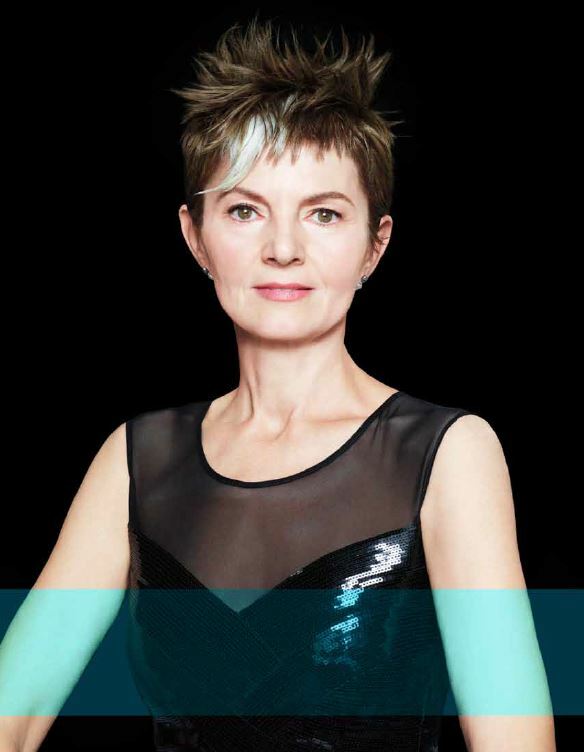 Even if you only remember one haircut you did and part of that style that Lucie Doughty taught you, you will be going home radiating inspiration and innovation. As beauty professionals, it is our work and passion to make people feel their best—inside and out. What have you done lately to invest in yourself that same way? I will never forget that first time I saw the bright and sparkling lights of The Gathering and how it changed my world forever. Whether this is your first or your fifteenth trip to The Gathering, I hope you go in with an open heart, an open mind and a mission to dream, because it keeps getting better and better every year… just like you. Live Beautifully, my friends! Stay inspired! Click here for more posts like this. Spring and summer 2016 trends are just around the bend! 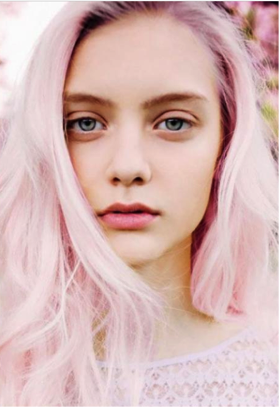 What in the world are you going to do with your hair color? Spring is such a fresh, bright time for renewed energy and exciting color! We start to see the first blooms of flowers again and your appreciation for simplicity gets stronger. The days start to get longer again and we enjoy beautiful sunsets with a range of colors you only can find in nature. 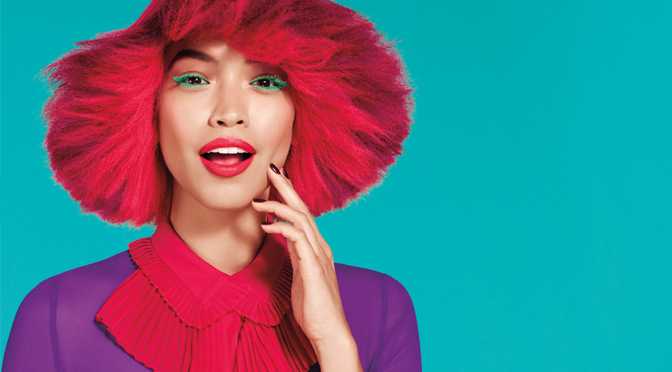 It’s also time for fresh, healthy hair with a fun twist on color and style! What I love most about the color trends you will see this season are that everything will delicately rest on touchable, moveable hair inspired by style and fashion icons like Marilyn Monroe and Lauren Bacall. The looks will move away from old glamour to a textured, wavy and casual vibe that is accented with all sorts of hues! 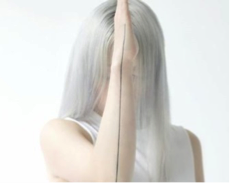 Some trending colors this season will be a reinvention of the classic silver we have seen around the block. This refined and flawless white will be the “it” blonde with subtle traces of pale violets, blues and silver undertones. For the modern, energetic and vibrant soul, this season’s fiery shade is a lava red. The look can be dimensional or monochormatic, but the more red the better! 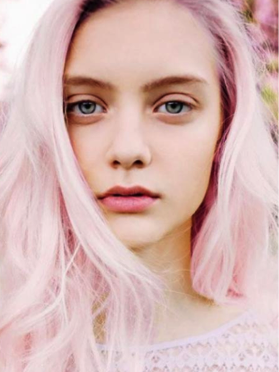 Pink hair makes a comeback this season and it’s softer, sweeter and more craved than ever! 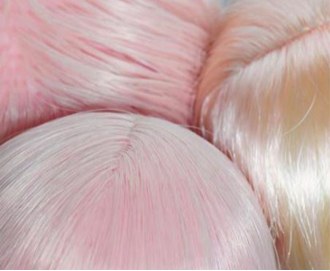 Every blonde will want to turn heads with this candied hue! Lastly, it’s not summer without the aquatic-inspired tones that you’ll spot this season. 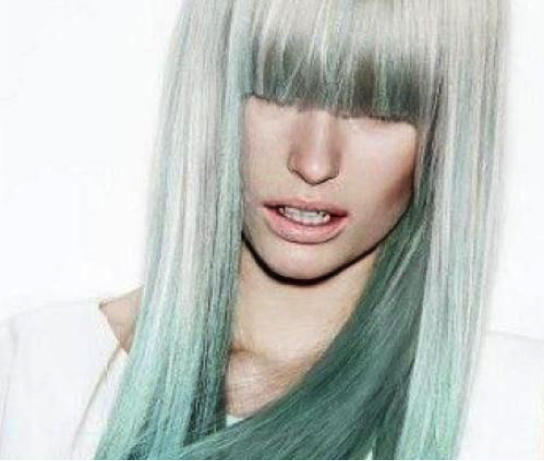 Dimension, depth and volume will be enhanced with sea blues and soft greens this spring and summer and you’ll probably want to keep them all year long! 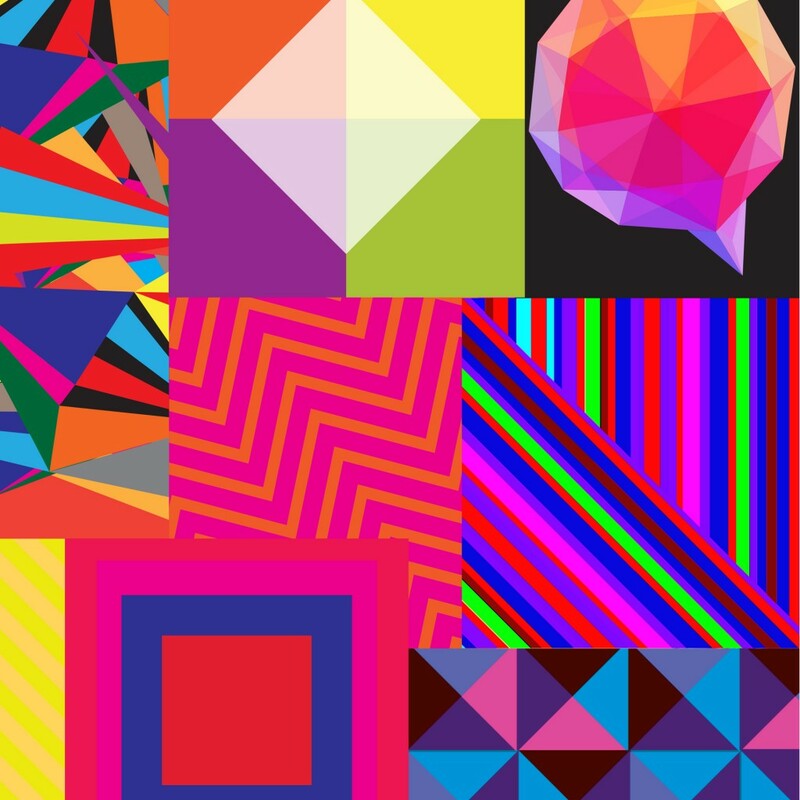 For Art’s Sake is a collection that appeals to every kind of artist—it celebrates technique, form, function, COLOR (lots of it! ), the business of our craft and last but certainly not least: tradition. The collection represents four unique, edgy haircuts that showcase techniques you’ve never seen before from Angus Mitchell and Robert Cromeans, as well as four hair color masterpieces brought to you by Lucie Doughty and Mary Cuomo, glorifying color from every part of the spectrum. EVERY model had to be pre-lightened to a platinum level 10 blonde before beginning the haircut and color transformation. The artists took baby fine sections in foils for each retouch and color correction. 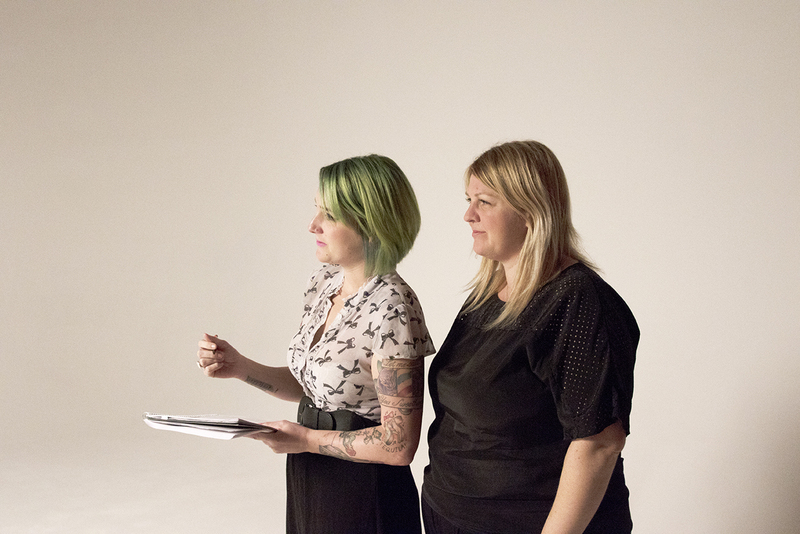 Outside of the planning, storyboarding and prepping, the shoot itself took 3 full days! The first day was for pre-lightening and haircutting, day two was a full day devoted to hair color and day three was the day for still shots and lots of paint throwing! 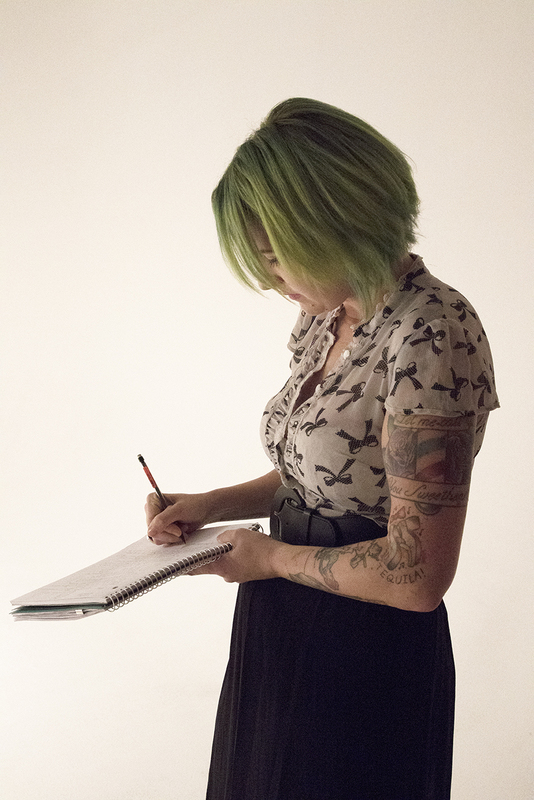 Fifi, one of the models, is a Learning Leader from Paul Mitchell The School Atlanta! 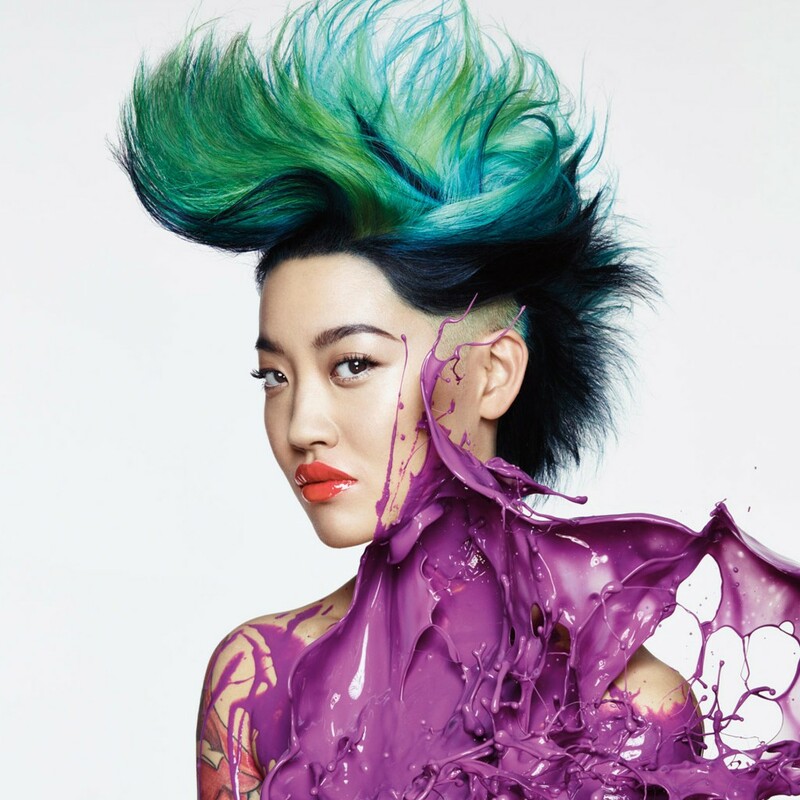 For the final images, real paint was tossed at the beautiful models to get the perfect final look. For each take, the models had to rinse off, have their make-up redone and their hair styled back to perfection. Angus’ haircut on Michaela is a tribute to his father, the legendary Paul Mitchell. Paul would wow every crowd he appeared in front of with his skills and creativity when using tape to create shapes, designs and cutting lines for haircuts. Angus took inspiration from his admired father and added a very heart-warming, nostalgic element to this collection with this celebration of tradition. 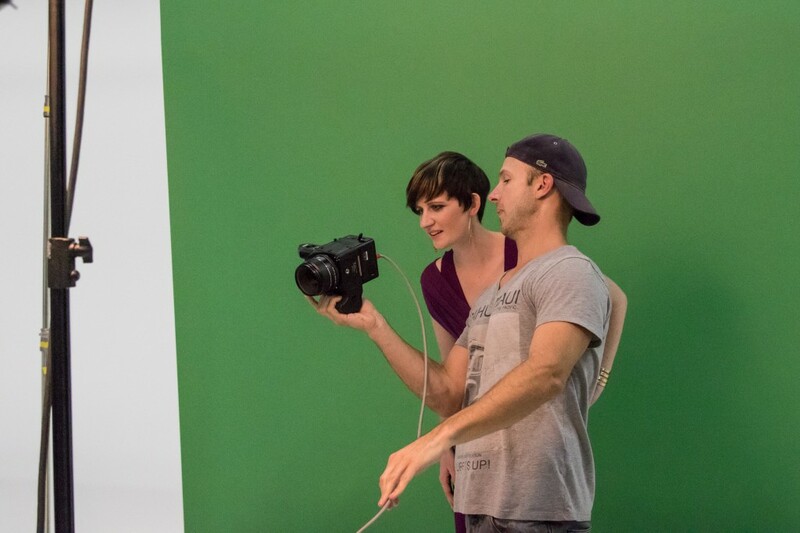 Don’t miss your chance to experience For Art’s Sake in your salon. 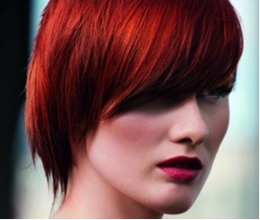 Learn how to add color, subtract hair, and build your Color Bar business with Paul Mitchell today! There are a million reasons to create beautiful, unique works of art with your craft, mostly because doing that is what keeps you motivated, fresh and relevant. But what is it about showing your work of art to the world that makes it that much more exhilarating, that much more rewarding and full of passion? Entering our first-ever Color Outside the Lines hair color competition will not only unleash your very unique inspirations and skills, but it will give you a chance to show your work to the world and obtain opportunities you could have never imagined possible. The Grand Prize winner will be awarded an awe-inspiring trophy and have their work featured in industry-leading trade magazines. We all know that social media is the golden ticket for success these days—how about the incentive of being featured on Paul Mitchell’s social media platforms, as well as participate behind the scenes (or possibly even ON camera) at the next Paul Mitchell collection photo shoot? Imagine the connections and possibilities that come from a day spent with Lucie Doughty , Stephanie Kocielski or Mary Cuomo! What would it mean to you to have a chance to share the stage at Gathering 2016 with the world’s greatest artists this industry has ever seen? The grand prize winner will have the once in a lifetime opportunity to experience Gathering in a custom-made show segment from the brilliant mind of Robert Cromeans, John Paul Mitchell Systems’ Global Artistic and Business Director. The opportunities that domino-effect after a simple entry submission are endless and infinite. Tap into that inspiration, push yourself to be that next best you and just go for it! 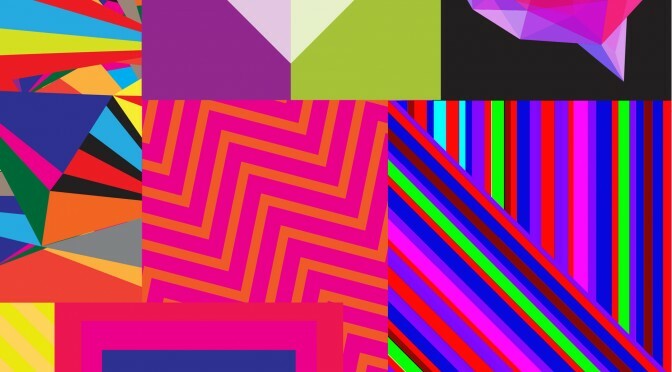 You’ll always miss 100% of the chances you don’t take… so, why not Color Outside the Lines? Color Your Confidence is Back! The challenges and hardships that our United States veterans face during combat and active duty can be more difficult than most of us could ever imagine. And to come home and face life-changing adversities after fighting for our nation’s freedom is something no veteran should ever have to endure. Because we at Paul Mitchell® believe in living beautifully and giving back, we have proudly partnered with Makeovers That Matter to provide hair color transformations for female United States veterans. After serving in the United States armed forces and returning home, the first step to getting back on your feet is loving yourself and regaining confidence. A makeover may not be the answer to all of life’s big challenges, but the power of hair color, a fresh perspective and a renewed self-confidence can help our female vets recalibrate and move forward. And that’s precisely why we launched our Color Your Confidence Campaign with Makeovers That Matter—an organization founded by MJ Derricott that is dedicated to the empowerment of women returning from military service, and the wives and widows of veterans who have served our nation. 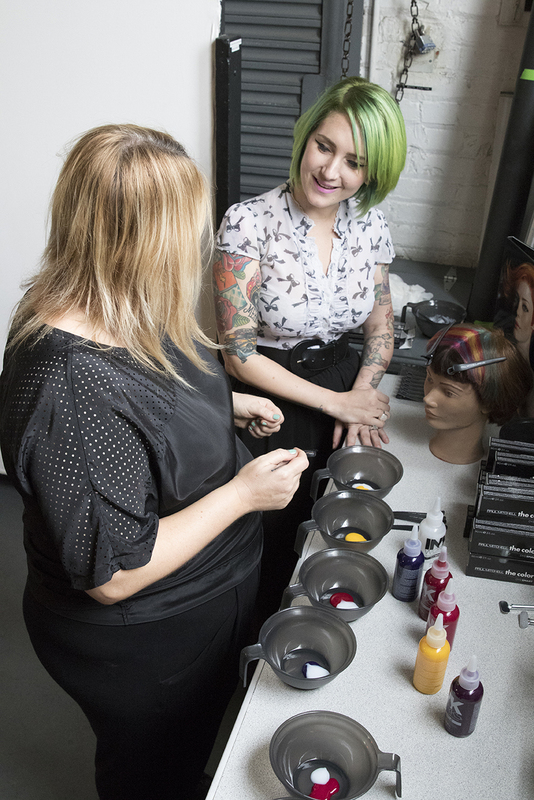 Their mission is to provide these women with the right tools to re-enter the workforce, including a new haircut and color service to help boost their confidence. Our Paul Mitchell team was so grateful and privileged to work with Charlsie, Belita and Katie—three beautiful women who served in different sects of our military. Not only did these women show our team what true strength, willpower and complete selflessness looks like, but they also opened our eyes to just how much we as hairdressers can touch and affect somebody’s life. These three heroines received full makeovers with custom hair color, modern haircuts, gorgeous make-up and a brand new wardrobe to go home with and wear to their upcoming job interviews. 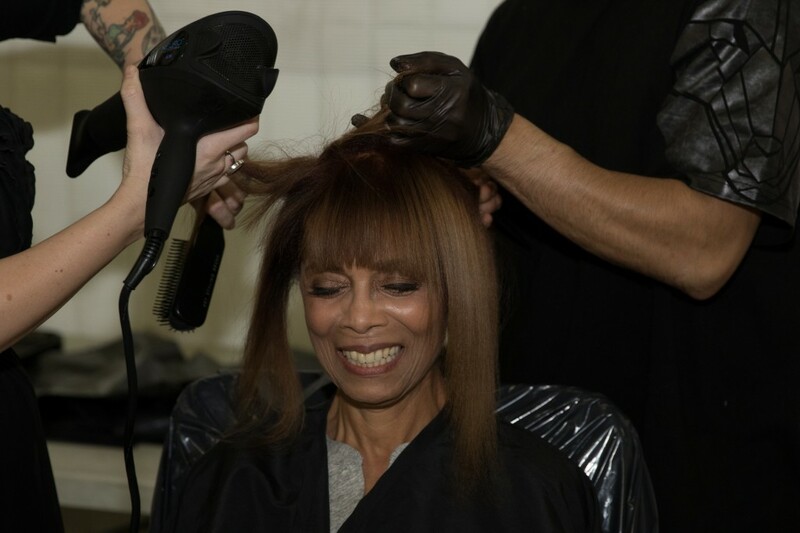 Before we began, Belita—a US Army veteran from the Vietnam War, said that her previous hair and look made her feel insecure and “not good enough” for anything or anyone. One of my favorite things that Belita said after her big makeover reveal was that she finally felt that her “outside looked as good as her inside”. Beauty means something different to everybody and when we can help bring that out in someone to highlight their unique story and their personal goals and passions, we have done our job. The combination of heart and hair color is a force that cannot be stopped—a force that can change lives, put people back on track, make them feel as good as they look and, therefore, change the world—one touch at a time! Starting this month, you’re able to stock your salon with Paul Mitchell Color Your Confidence kits; See Katie’s makeover, techniques and story with the shines XG® Color Enhancement Kit. Get to know Charlsie and her beautiful rose gold locks with the PM SHINES Toning Kit; or, turn back time with Belita’s Paul Mitchell® the color Gray Coverage Kit and the jaw-dropping, salon-friendly techniques and formulas inside! Now, we’re inviting you to join Paul Mitchell in this revolution of changing lives and giving back—what is your salon doing to help those in need? How can you give back to your community or to those that put their lives on the line for you and your loved ones? To see more about the stories, techniques and hair color used for these makeovers, visit Beyond The Bottle through the months of January and February, or book a Color Your Confidence in-salon class with your John Paul Mitchell Systems Regional Color Coordinator today and experience the heart behind the bottle. To book a class, contact your local Regional Color Coordinator or your Distributor Sales Consultant. Liquid Motion is a collection encompassing versatility, flexibility, freedom and consonance. 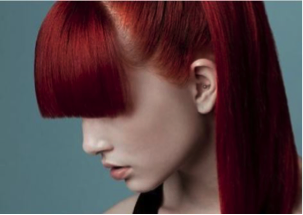 The haircuts and colors create lines and hues that melt through the hair as effortlessly as cursive. 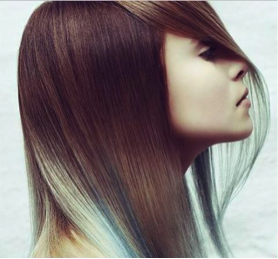 Applying color techniques and formulas enlivened with a variation of developers, the hair lifts to a spectrum of seamless levels which are beautifully embraced by the color XG®. Liquid Motion uses flickers of light and diffused, blurred lines to embody movement, mutability and elegance. Camia features a beautiful blend of raspberry reds, hints of the color XG’s Violet Intensifier, and a shine line utilizing Paul Mitchell’s Synchrolift lightener. This shine line creates a point on the head shape that bends light and creates a blurred illusion of light where our two color XG formulas meet. Eyen, on the other hand, features a teasy-blonde technique utilizing Dual Purpose Lightener and the color XG A series. With scissor and razor cutting techniques, the haircuts will inspire you to create shapes using graduation, layers and interesting disconnections. Camia’s modern shape is created with a straight razor cutting technique, playing with over direction, texturizing and soft disconnections. 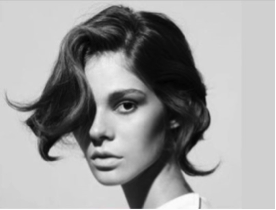 Eyen’s haircut plays with graduation and layering techniques that blend together effortlessly creating a flexible, guest-friendly shape for all women. Liquid Motion is an exciting new collection for the progressive stylist and the guest who wants to modernize their look. For more information and to book an in-salon class, contact your distributor. Every few weeks, our most loyal gray-coverage guests muster up the courage to leave their houses and with a huge sigh of relief, take a seat in our chair to unveil their tinsel. 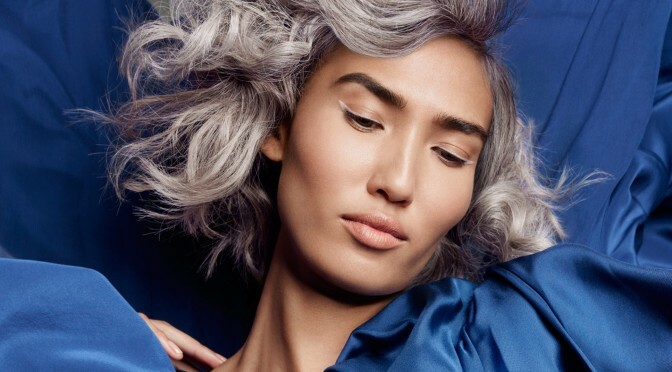 As stylists, we’ve come up with some of the most creative phrases to describe our guests’ gray in an effort to be sensitive to their natural hair color transition and comfort our color-dependent loyalists in between visits: Let’s take care of that sparkle today! ; You’re about 85% naturally platinum here! ; Let’s try to blend your salt in with the pepper! Following these guidelines will deliver beautiful results (and likely cause your guests to kiss the ground you walk on!). The PUREXG Protection System in the color XG, will make your guests hair look and feel more healthy, shiny and conditioned than ever before. Learn more about the color XG here. With the launch of the highly-anticipated the color XG®, the first thing that most colorists’ eyes and hands go towards are the Intensifiers. Not only do they look intriguing, but just their name alone is enough to pull you in and spark some creative ideas. If you’re anything like me, a new addition to the Color Bar makes me want to play, experiment, test the limits and create colors. 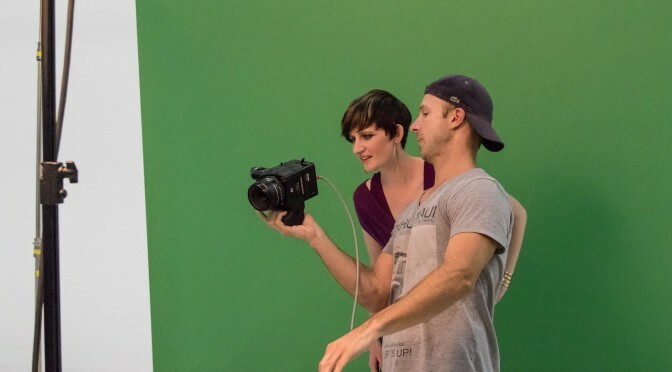 Let’s take a look at some ideas of why, when and how to use the color XG Intensifiers, and how they can grow your business, confidence and creativity! the color XG Intensifiers are a brilliant choice when working with the color XG because they contain both the DYESMART System as well as the PUREXG Protection System. You can intensify (emphasis on the INTENSE because these 6 colors really pack a punch!) or neutralize unwanted tones. They are all intermixable and can be added to any of the shades in our brilliant palette. These versatile tools can be used in nearly any color XG scenario—adding vibrancy, controlling warmth, adding depth to a formula, repigmenting pre-lightened hair, creating bright or pastel fashion tones and corrective colors to name a few. As a general use guideline, for each 1 ounce of your selected shade, add the amount of Intensifier specified in the chart below. These guidelines will give you just the right amount of pigment at each level to intensify or neutralize a tone. For very strong, vibrant end results, add up to 30% of your formula to neutralize extreme unwanted tonality (typically use Green 0/22, Blue 0/88 and Violet 0/66 here) and up to 50% of your formula with the chosen Intensifier for vibrant intensity (depending on what your goal is, use any of the 6 Intensifiers here). Always whisk/mix your Intensifier with your color formula prior to adding your cream developer. Adding Intensifiers will not affect your timing, but if you are adding more than 30% of your formula with Intensifier, you will want to add more of your Paul Mitchell Cream Developer to stay true to your chosen mixing ratio. If you are looking to use an Intensifier on its own on levels 9-12, be sure to prime the hair and use an Ultra Toner first, then mix your Intensifier with 10 volume Paul Mitchell Cream Developer and process for up to 25 minutes. For the most predictable, vivid and long-lasting colors, use each Intensifier at a level that provides a solid base for the color to grab on to. For example, a vivid Yellow/Gold 0/33 will work beautifully with a level 9 formula, Red 0/44 with levels 5-7 and Orange 0/34 with levels 6-9. Using Intensifiers with Clear Booster will create a more translucent end result with more lift (keep in mind this will also expose more dominant pigment). Don’t forget! Intensifiers and INKWORKS® are two completely different colors with entirely different roles. Intensifiers work best when mixed with a color XG formula—when used on their own, the lifespan of your guests’ color is not as predictable. If you are looking for extreme, vibrant fashion tones, INKWORKS is a brilliant option for that punch of color on its own or as a top coat! Have fun with our new color XG Intensifiers! They will undoubtedly boost your creativity, inspire your guests and encourage color service upgrades, making you more successful and confident behind the chair! We have so many brilliant options at our Paul Mitchell Color BarSM, but until recently, we’ve lacked a color option with a rich, European influence. Enter the color XG—a permanent cream hair color developed in Italy and for the first time, made available in North America this month! As colorist faces plenty of challenging endeavors when a new guest sits down in his or her chair—one of those challenges is hair texture because it’s like a snowflake; you never really see another head exactly like the last. The importance of understanding how a certain shade of color will look on a fine strand versus a coarse strand versus an extremely porous, medium strand is just one of the many things that challenge us to polish and perfect our color expertise. What makes the color XG so special (and exciting for colorists everywhere!) 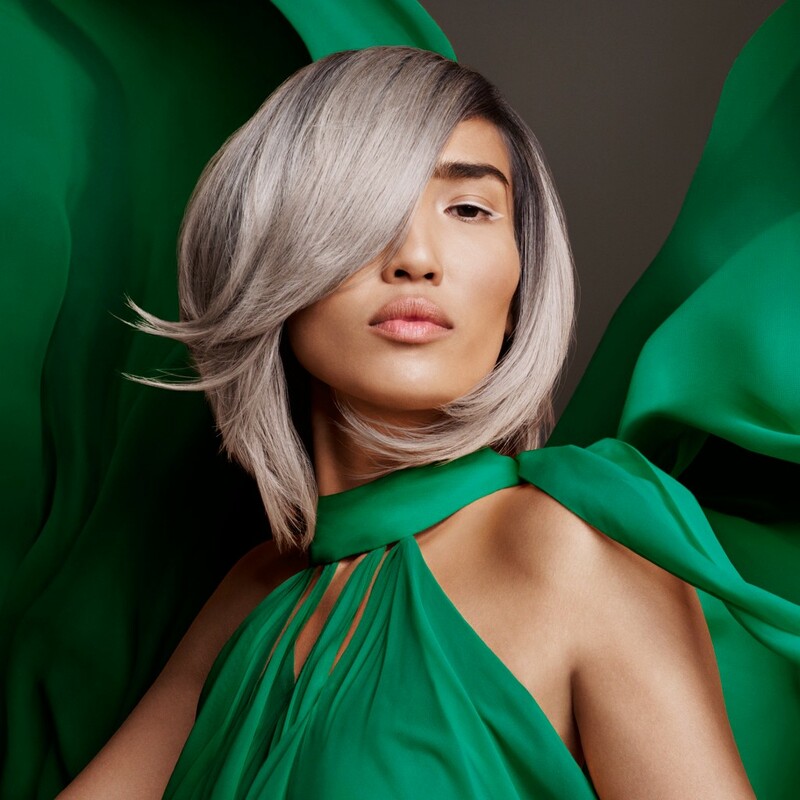 is its ability to deliver gorgeous results with incredible lift using the highlift series, cooler background tones in just the right places, and a reliable DYESMART System that will ensure greater longevity, vibrancy and predictability. 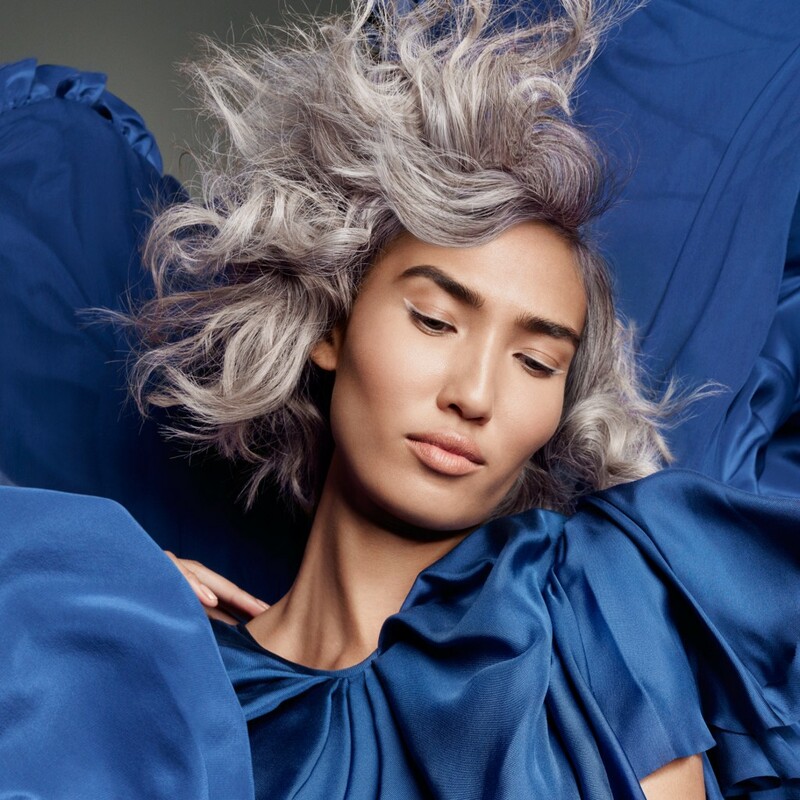 As many of you have witnessed, Paul Mitchell Artistic Director for Professional Hair Color Linda Yodice is unstoppable with a tint brush; but her immense talent was even more apparent during the color XG collection shoot. Linda was working with our gorgeous model, Sharon, who arrived to the shoot with beautiful long hair. Before getting to work, Linda had to identify a few key elements on her canvas: Sharon was a natural level 4 base with previously colored level 6 and 7 midshaft and ends, and hair as coarse as it comes. Because the desired end result was a color that was full of life, rich in caramels and organically blended throughout, it was important to use a color that would perform predictably while delivering 4 levels of lift. On a coarse, naturally dark canvas like Sharon’s, utilizing a color XG highlift to give 4 levels of lift and a cool, neutralizing deposit is a great alternative to lightener in some cases. In addition, because the color XG highlifts share the same base as the rest of the shade palette, you can mix and blend two formulas on the hair to create a third flavor right before your eyes! When trying to duplicate a naturally smoky base, mixing a natural brown like 4/07 with the violet intensifier is just one of the unique formulation options the color XG can offer! With 86 opaque shades, including 6 intensifiers and 1 clear booster, any hue is possible and the sky is the limit. For a lived-in end result, application is critical. The creaminess of the color XG (thanks to it’s high-conditioning base and cost-effective mixing ratios) is the perfect texture to either lightly touch the surface of a hair strand for the ultimate blend or fully saturate the ends for maximum lift and tonal change. The PUREXG Protection system is made of cottonseed oil and rice milk, which will not only add to the ease of mixing, but will protect and rebuild the hair during and after the color service. We know you will begin to see where the color XG best fits on your Color Bar as you experiment. Whether you utilize this rich, European developed hair color for bold reds, 100% gray coverage, summer blondes or fashion-forward pastels, the color XG can help make every hair color dream come true. Now, enjoy these beautiful step-by-steps brought to you by Linda Yodice for the most gorgeous flavors you’ve ever seen from a permanent cream hair color!